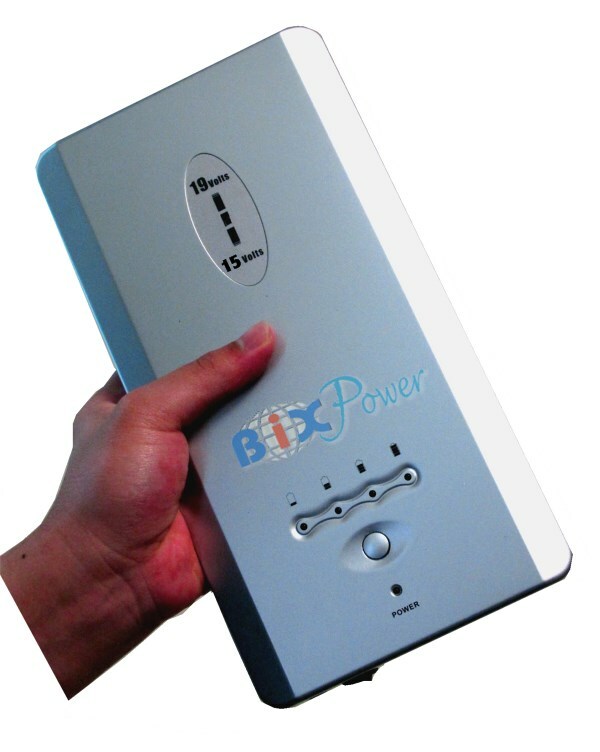 Super high capacity, long run time, universal external battery pack for laptop notebook computers and other devices. Made with high quality Panasonic Li-ion battery cells. It has up to 4~5 times battery run time (223 Watt-Hour, compared to 40~60 Watt-Hour for most notebook computer internal batteries). Its universal platform works for most laptop notebook computers on the marketplace. One battery for many different notebook computers. 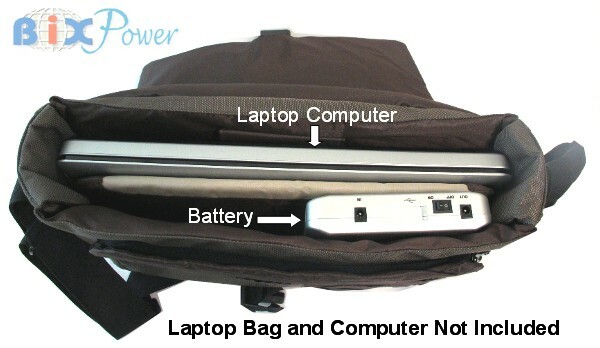 Its compact size can easily fit into a laptop/notebook carry bag. 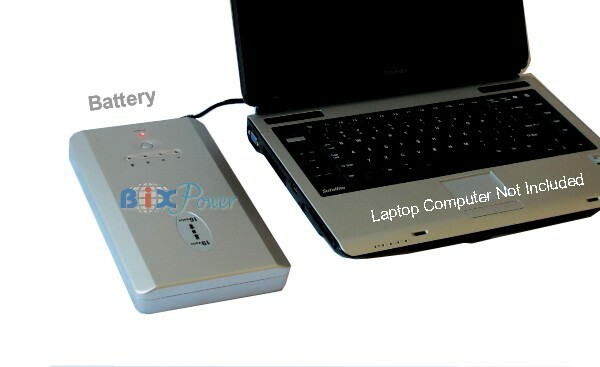 Super high capacity ( 223 Watt-hour, or 60300mAh), long run time (can add 9 ~ 15 hours extra running time for most laptop computers), external universal battery pack for laptop notebook computers and other devices. Made with high quality Panasonic Li-ion battery cells. 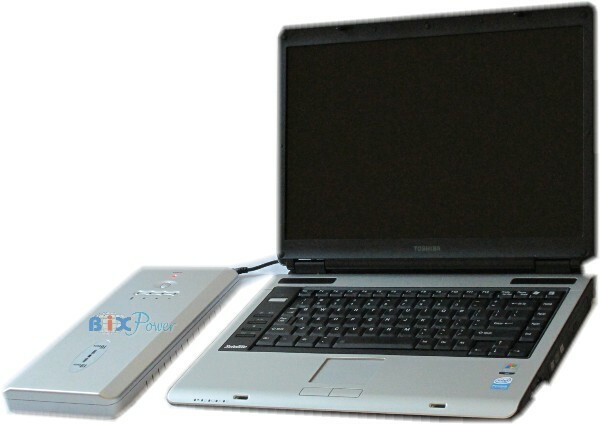 Its universal platform works for most laptop notebook computers on the marketplace. One battery for many different notebook computers. USB -- Slide the cover to right side, there will be a USB port which outputs 5V DC power. You can use this 5V USB Port to charge cellular phone, MP3 player or other small electronics that can be charged from a 5V USB port. However, the battery pack does not come with any cable for connector tips for this USB port. Our optional Z4 cable and connector tips will work with this 5V USB port. 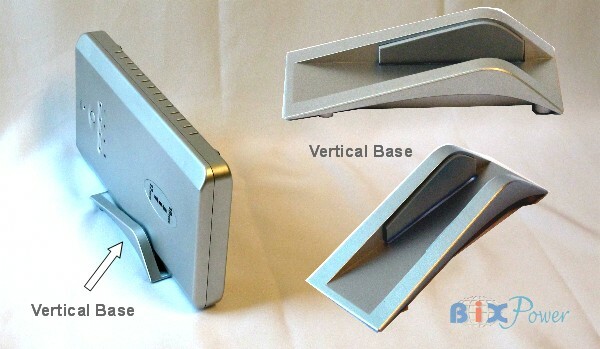 This battery can stand vertically with optional Vertical Base. 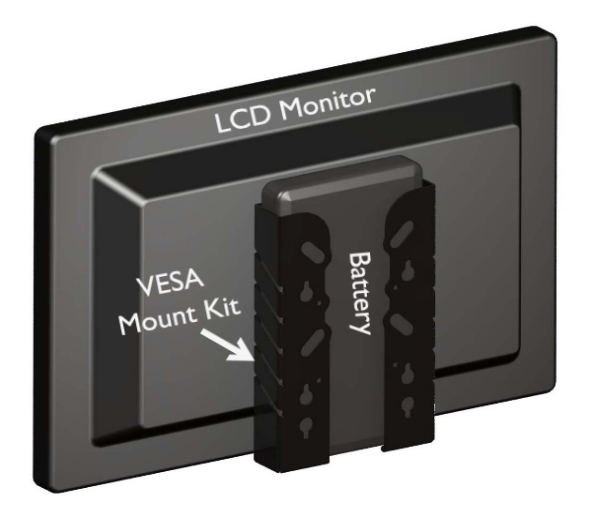 We also offer optional VESA Mount Kit to mount this battery to the back of LCD monitors. 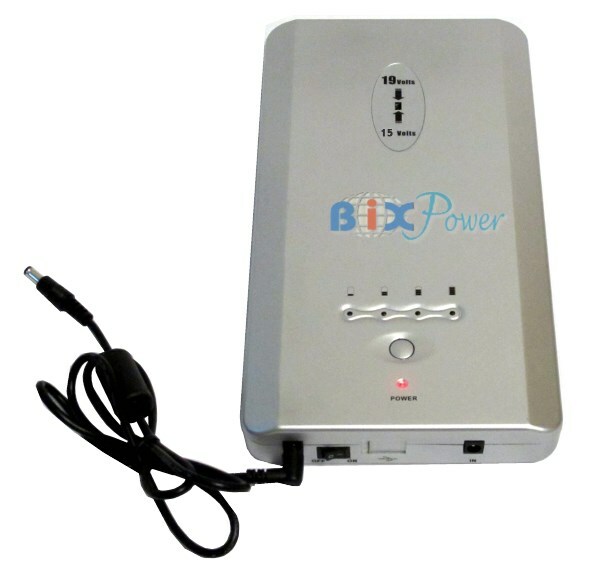 1.Charge the battery: This battery has it own battery charger, you can charge it from any 110V or 220V AC power source with the included AC Charger. You can also charge the battery from a car cigarette lighter with the included Car Charger, or charge the battery from sun with optional solar panel. Solar Panel is optional, NOT included. 2. 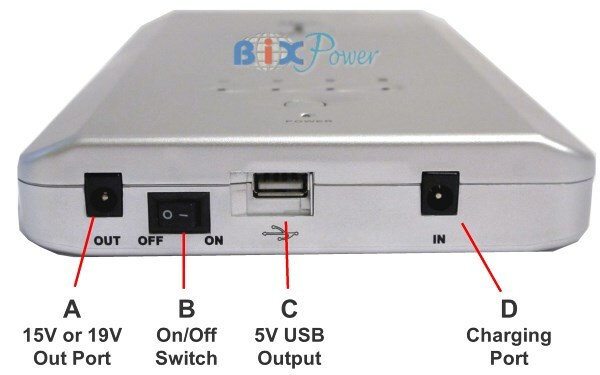 Set correct output voltage: After the battery has been fully charged, set the voltage output of the battery close to your notebook DC power input requirement (which is same as your notebook AC power adapter's DC output voltage). This battery has a switch to set the voltage output at 15V or 19V. 15V is compatible with 14V~16V, 19V is compatible with 18V~21V. Included with your battery is a output cable with more than 14 different connector plug tips. The output cable (Z6 Power Cable) one end connect to the battery output port, another end has a 5,5mm/2.5mm connector which will fit a lot laptop notebook computers and other devices. If the Z6 cable connector does not fit your laptop notebook computers, you can use one of following connector plug tips that work with most laptop notebook computers. With the plug tips not connected to Z6 output cord, locate the correct tip by fitting the tip into your laptop notebook computer or other device DC Jack. The tip should fit snugly in the DC jack. The plug the tip to the Z6 output power cable. 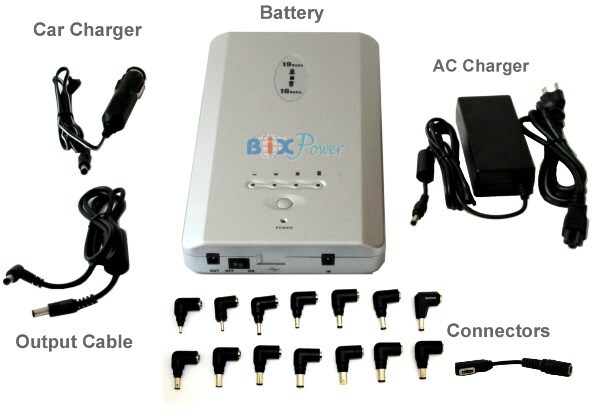 The package comes with 19 or more connector tips for different laptop/tablet/notebook computers. * We may discontinue some old tips and add some new tips without notice. Actual connector tips may not be exactly same as the pictures show. Just that simple, now you are ready to use it ! Note: If your notebook internal battery is a working battery and has been fully charged, you can leave it in your notebook. Otherwise, we recommend you removing the internal battery from your notebook to maximize the external battery running time.The external battery will still work fine if you leave non-charged internal battery in the notebook, but it may not reach the maximum running time since it needs to charge the internal battery at same time when it is powering the computer. 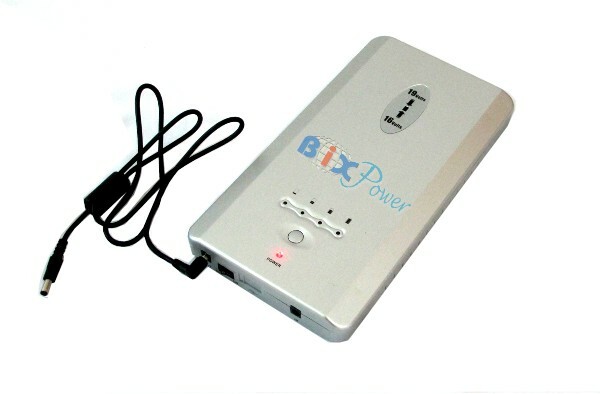 This external battery capacity is about 200/49=4 times of your internal battery capacity. If your internal notebook battery can run 2 ~ 3 hours, then the external battery pack can theoretically run about : 8 ~ 12 hours. 1. 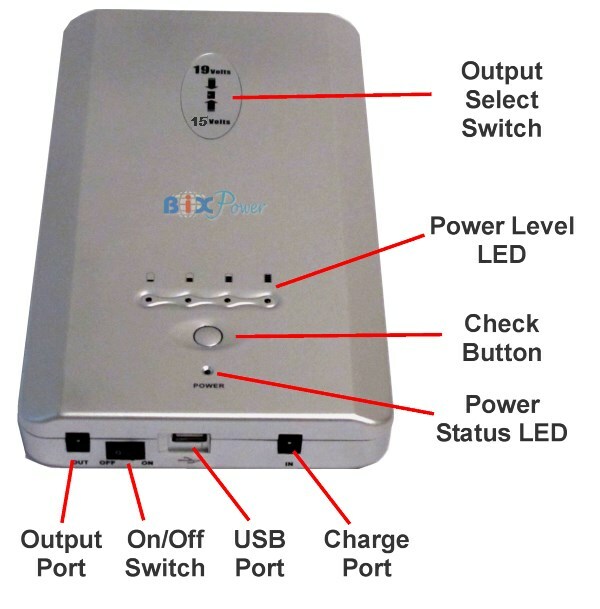 Your device needs 14V ~ 21V DC power ( it is same as your device AC power adapter DC output voltage). 2. One of connector tips included with the battery pack (see following pictures) will fit your device power jack. then this battery should work for your device. 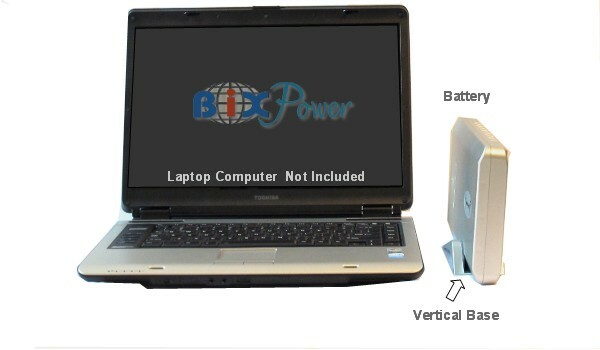 The package comes with 15 or more connector tips for different laptop/tablet/notebook computers. US Post Office does not accept any shipment for lithium battery with capacity over 100Wh. We ship this battery through UPS only. Please make sure to select correct shipping method when you order this battery to avoid any delay. We can not ship this battery to APO/FPO addresses. UPS will charge $30 ~ $45 extra handling fee for Next Air, Second Day Air and 3 Day Selection service for this battery, which will make shipping cost very high. So we recommend you select UPS Ground service as shipping method. No extra handling fee charge from UPS for ground service. Note: When travel by air, passengers can bring two larger lithium ion batteries containing up to 160 Watt-Hours in their carry-on baggage. However, lithium ion batteries are NOT allowed in checked baggage.